What Is a Diagnostic Nerve Injection? It is a procedure in which a specific nerve in your body, is injected with a solution of local anesthetic and sometimes steroids( anti-inflammatory medications), for the purpose of diagnosing and treating your pain. They are usually performed in nerves such as the occipital nerve (base of the neck), ilio-inguinal nerve (groin), median nerve (wrist), intercostal nerve (under the rib) and others. When Is a Diagnostic Nerve Injection indicated? There are times in which the source of the pain has not been identified or the treatment of a specific condition, has not responded to conservative treatment or surgery. These are conditions, in which a nerve injection can be essential in providing a specific diagnosis and treatment. The response to these injections can be permanent or short lasting. However, there are other interventions that can be performed to provide long lasting relief in a specific nerve. Only through a diagnostic nerve block such a procedure can be considered. What Are Some Common Pain Syndromes in Which a Diagnostic Nerve Block Can Be Helpful? Patients with post inguinal hernia repair pain, post chest surgery pain, persistent occipital headaches, carpal tunnel syndrome, shingles and rib fractures to name a few. There are other conditions that although less common, can also benefit from these injections. Usually the procedure is performed under local anesthetic alone. Some patients that are apprehensive may benefit from intravenous sedation. This decision will be made based on individual preference and medical necessity. Oral medications are also available to assist with relaxation before and during the procedure. You will be taken to the procedure suite, place in the fluoroscopy bed lying on your stomach. Blood pressure and cardiac monitors will be applied. The specific nerve area will be scrub and cleansed in a sterile fashion. When necessary, an X-ray machine which provides constant imaging (called fluoroscopy) will be used. The physician will then inject a small amount of local anesthetic in the skin and deeper tissues to numb the area. This may be associated with mild and brief stinging sensations. 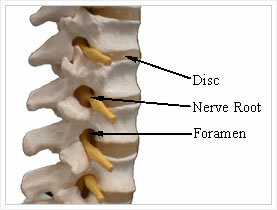 Once the area is numb, your doctor will insert a very small needle into the appropriate nerve area. A small amount of contrast ( X-ray dye) will be injected to confirm proper needle placement. Following this, a solution of local anesthetic and steroid will be injected around the nerve. You will go back to the post anesthesia care unit (if you received intravenous sedation), where you will be monitored for 30-60 minutes, according to response. If no sedation was used, according to your specific condition, you may proceed to the post procedure observation area. When indicated, you will be given a post procedure evaluation form to assess the effectiveness of the injections. Post procedure instructions will be given in a pre-printed form. A follow up appointment will be made for follow up and to determine if a repeat injection may be necessary. Frequently, according to your specific response, more injections may be indicated. Restrictions after the injection will be based on specific needs and medical necessity.